A new organization, called the National Solar Schools Consortium, was recently launched at the annual conference of the National Science Teachers Association (NSTA), with the aim of helping to promote and enable renewable energy in America’s schools. Vision: Every school in America will be equipped to give students meaningful learning experiences with renewable energy. The Consortium, which is made up of nonprofit environmental, education, and solar organizations, and solar companies, will work to not only support solar energy curriculum in K-12 schools, but to get solar panels on schools and universities for clean energy production. The goal of the Consortium is to act as a unified voice for the growing solar schools movement, promoting the use of solar energy on K-12 and post-secondary schools, consolidating and coordinating current and future solar curriculum and resource development, and providing tools designed to help schools explore solar energy options both on campus and in the surrounding community. 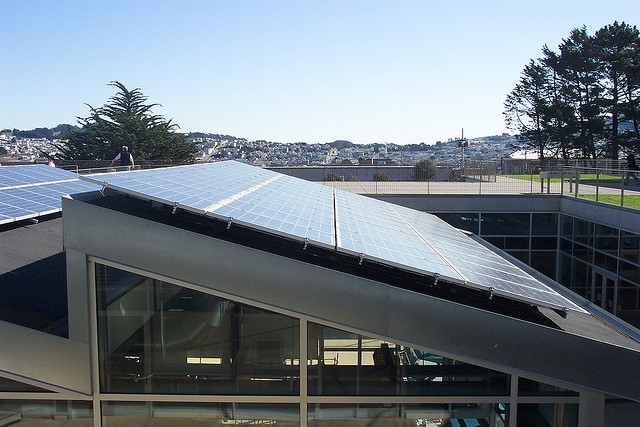 The 2020 goals that were set by the National Solar Schools Consortium include getting 20,000 solar installations on schools and universities, 200 school districts adopting solar schools initiatives, and having 2000 member organizations. There isn’t yet much of a roadmap on their website for how those goals will be met, but interested teachers and administrators can help inform those by filling out a short educator survey with your school’s current solar situation. Find out more about this solar schools initiative at SolarSchools2020.